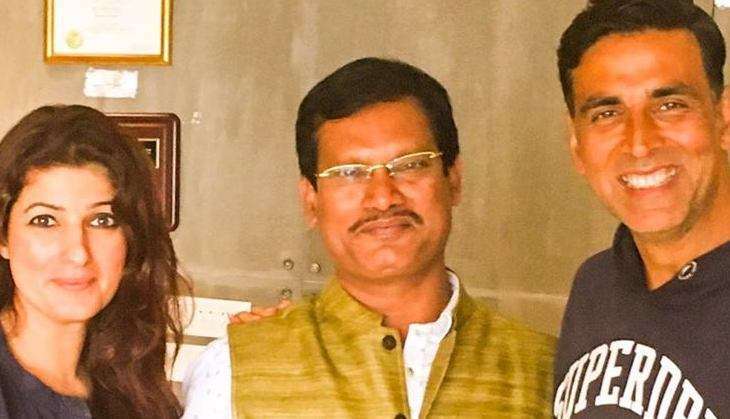 The movie a slice-of-life film, is rumored to be based on the novel ‘The Sanitary Man from the Sacred Land,’ which is based on the life of Arunachalam Muruganantha, who campaigned extensively for menstrual hygiene in rural India. Those who have read Twinkle Khanna's new book The Legend of Lakshmi Prasad will vouch that The Sanitary Man from the Sacred Land definitely makes for an inspiring story. The actress-turned-author has fictionalised the story, which is based on a true incident for her book. The inspiration behind the story is Arunachalam, who bore the wrath of his village and community for his commitment to find a way to make cheaper sanitary napkins that could be afforded by women in his village. Rural women until recently would use rags and other unhygienic means and methods. Now, the story will be her first filmi venture. Twinkle stumbled on the story of Muruganantham while doing some research on menstruation for one of her columns. It's only fitting that the story of this extraordinary man makes its way from the pages of Twinkle's book to the large screen. Though the story in the book is penned by Twinkle, she isn't taking the writing credits where the film is concerned. Says a source, "It's the kind of film that will appeal to Twinkle's sensibilities. It will be directed by R Balki and will star Akshay. The concept is hers, and will be developed by R Balki." When we had earlier asked her whether she will graduate to writing for films after having written columns and authored two books, she had said, "I was writing columns, now I've written two books. I don't know what I will write next. I have another job as well. I have an interior store and a candle factory. And between these three, I have enough on my plate. In fact, my plate is overflowing now." Arunachalam Muruganantham saw that his wife Shanthi used filthy rags during her menstrual cycle, as sanitary napkins made by multinational corporations were expensive. Troubled by this, he started designing experimental pads. He tried to get his wife and sisters to use them, but they decided to stop co-operating with him after a certain amount of time, Since most women were shy to talk about this matter, he decided to test them himself. He used a bladder with animal blood and would pump it at regular intervals to see if his pads worked. But he was ridiculed and ostracised by his community and family. But he didn't give up. Eventually, he devised a low-cost machine that could be operated with minimal training. Today, despite many offers from multinationals, Muruganantham has not sold out his machineg filmography. The actor has already had a phenomenal year with three hundred crore flicks. Besides Gold, Akshay Kumar is all set to tell yet another inspirational story on the silver screen with R. Balki’s next. While we have received details of the cast of the film, now here is an interesting twist to the plot – the film is based on the story of ‘The Sanitary Man from the Sacred Land’, which is a part of Twinkle Khanna’s recently released book ‘The Legend of Lakshmi Prasad’. As we had mentioned before, R. Balki developed his next based on the concept given by Twinkle Khanna. The actress turned author and producer came across the story of Arunachalam Muruganantha, the Sanitary Man of her book, whilst researching for one of her columns on menstruation. The man, who hails from a small town in South, was unhappy with the unhygienic alternatives which were used by women in his village during periods and decided to find a cheaper way. Arunachalam Muruganantha decided to take up this issue and started experimenting with new methods of making cheaper sanitary pads so that women in his village can afford them instead of the high priced ones sold by multinational companies in the country. While his initial experiments continued on his wife and sister, they soon got fed up of his obsession and refused to be a part of it. Not giving up, he continued the experiments by using a bladder with animal blood in order to conduct tests. He was successful by devising low cost machine for these sanitary pads that could be easily operated. The untitled film also stars Sonam Kapoor and Radhika Apte in prominent roles and is produced by Twinkle Khanna under her new banner Mrs. Funnybones films. Akshay Kumar's 'Padman' to show Radhika Apte in a nagging wife's role? New Delhi: The Khiladi Akshay Kumar started off this year on a promising note. He shared the first look posters of all his upcoming films releasing in 2017 on Twitter and made it a really Happy New Year for his fans. One such film, which has grabbed the maximum eyeballs happens to be 'Padman'. Interestingly, the film will be wifey Twinkle Khanna's maiden production venture as well. A few days back, it was revealed that Akshay will have two leading ladies in the film—Sonam Kapoor and Radhika Apte. And now, it is reported that the latter will play his wife on-screen. 'Padman' is based on the real-life incident of Arunachalam Muruganantham—the man whose initiative to invent low-cost sanitary pad making machines in rural India helped not only his wife but other women in his village to lead a hygienic life. Ace cinematographer P.C. Sreeram has revealed that the shooting of actor Akshay Kumar’s ‘Padman’ will take place in a village near Indore. The movie is based on the real-life story of Arunachalam Muruganantham. The project is Akshay’s wife Twinkle Khanna’s first home production and will be helmed by R. Balki. In ‘Padman’, Balki and P.C. Sreeram are teaming up for the fifth time after ‘Cheeni Kum’, ‘Paa’, ‘Shamitabh’ and ‘Ki & Ka’. 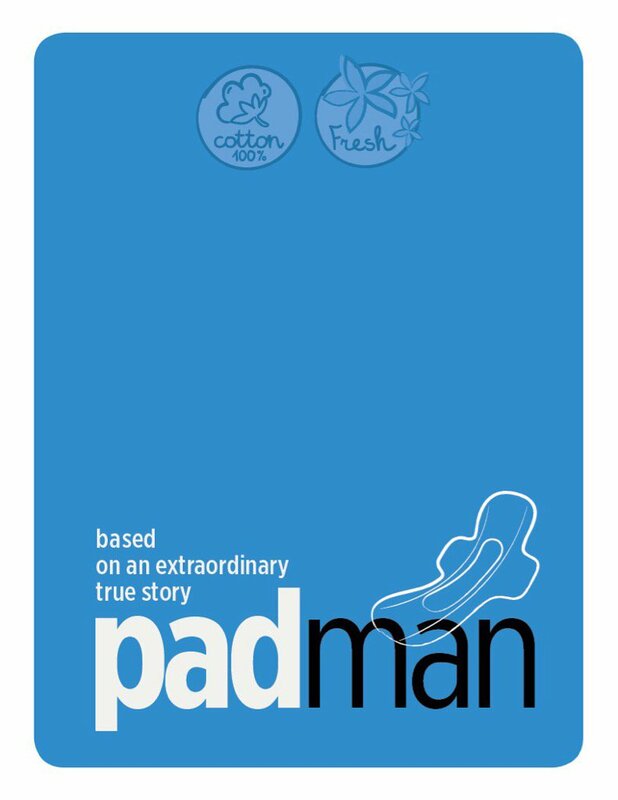 ‘Pad Man’ is a biopic on Muruganantham, who found a way to make cheap, affordable sanitary napkins for women. Along with Akshay, the film also stars talented actresses Sonam Kapoor and Radhika Apte. Khiladi Kumar has worked with Sonam in the past but will feature with Radhika for the first time. Akshay Kumar's Padman is being produced by Mrs.Funnybones Movies, a new production house started by Twinkle Khanna. After all the successful films delivered by Akshay Kumar in 2016 and Jolly LLB 2 this year, one can safely say that Khiladi Kumar is one of the most bankable superstars of Bollywood who know the tricks of the trade quite well. The actor who just wrapped the shooting of Toilet – Ek Prem Katha, is now preparing for another film, but with a difference. The latest film Padman is being produced by Mrs. Funnybones Movies, a new production house started by his wife Twinkle Khanna. And Akshay, being the perfect husband, is lending a supporting hand to Twinkle, quite literally, as the two embark on the journey of the film. Padman is a biopic of Arunachalam Muruganantham, a small town entrepreneur from Tamil Nadu who invented low-cost sanitary napkins to generate awareness in rural areas about its usages and hygiene. He was also awarded the Padma Shri, one of the highest civilian awards by the Government of India, in 2016. In Twinkle’s best seller book, The Legend of Laxmi Prasad, she has chronicled the story of Arunachalam Muruganantham in a short story titled, The Sanitary Man. Other than Akshay Kumar, the film will also feature Sonam Kapoor and Radhika Apte. We have seen Akshay Kumar as a lawyer, an army man and businessman Ranjit Katyal in his recent films. 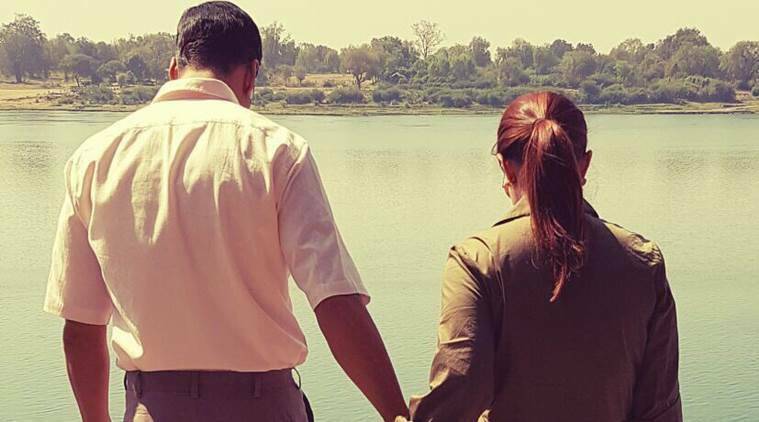 Now, whether or not we will get to see him play the lead role in Padman, or just remain behind -the-scenes as a support to his wife, is still unknown. Akshay Is Genius, He Always Working On Real Life Stories & He Knows That Now Audience Mostly Like True Stories.